FDM Digital Solutions is the UK’s leader in Additive Manufacturing and has established itself as the go-to application lifecycle management (ALM) software specialist in the UK. With vast experience and engineering capabilities, FDM Digital Solutions applies its rich knowledge to produce great results as demonstrated by its compelling case studies. As the go-to Additive Manufacturing specialists with the largest production capacity in the UK, we’ve always led the way when it comes to investing in future state-of-the-art technology to help our customers reduce lead times and costs and increase speed to market whilst adding design value to the products being produced, thereby increasing their profitability margins for the long term. OEM wings on aircraft are predominately made of carbon fiber, which may become damaged in certain areas during the wing build. To repair this carbon fiber, the area must be sanded back to allow new material to be built up in its place. This new material must be cured by applying heat to the correct area to accelerate the cure timescale. The current solution was a “hit-and-miss” approach as the heat could not be applied directly, so cure times could not be predicted, thus impacting the build rate and quality of the wing repair. 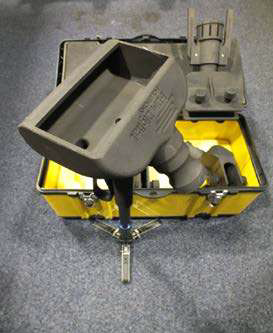 FDM Digital Solutions designed a 3D printed end-application kit using HP Multi Jet Fusion technology and HP 3D HR PA 12 material, which can withstand the temperatures required to successfully cure the damaged areas. Different end applicators were designed in-house so that any area on the wing could be cured within the correct timescale. 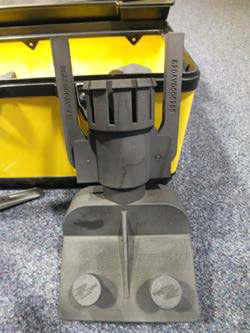 Each kit contains a quick-release clamp that attaches to the heat hose, meaning any of the end applicators could be swapped and changed quickly. 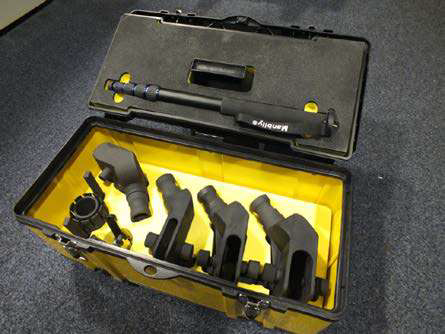 The final parts were supplied in their own kit box with CNC-Machined shadow foam. HP MJF uses a fine-grain HP 3D HR PA 12 material that allows for ultra-thin layers of 80 microns, which leads to the creation of parts with high density and low porosity, compared with HP 3D HR PA 12 parts produced with SLS. It also leads to an exceptionally smooth surface straight out of the printer, with functional parts that need minimal post-production finishing. This means short lead times, ideal for functional prototypes and small series of end parts.